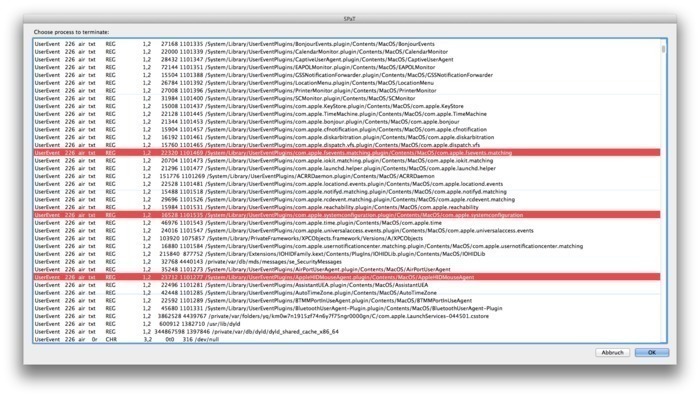 Shows all the active processes and related files of the active user. Is there a better alternative to SPaT? Is SPaT really the best app in System category? Will SPaT work good on macOS 10.13.4? 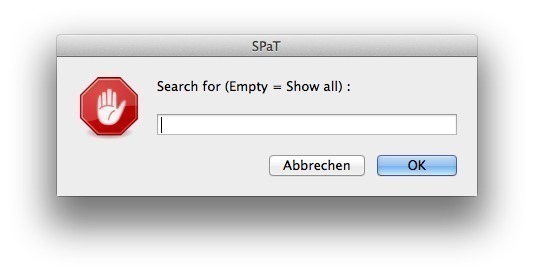 SPaT (Search Process and Terminate) shows all the active processes and related files of the active user. A filter lets you search for a certain process or a process related to a file name and lets terminates that. Update: -Bug fix if multiple lines from the same process are chosen. SPaT needs a review. Be the first to review this app and get the discussion started! SPaT needs a rating. Be the first to rate this app and get the discussion started!